In protest against the Citizenship Amendment Bill (CAB), 2016, a total of 26 families of those, who lost their lives during Assam Movement, on Wednesday returned the mementos conferred by the State government. 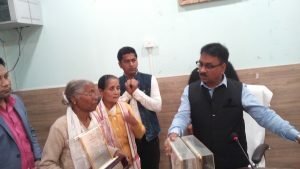 The mementos were conferred by the Assam government to the families of the martyrs as a mark of honour to their ultimate sacrifice for the cause of Assam. 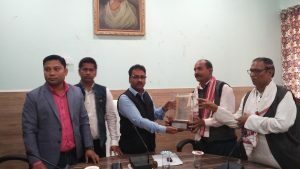 After returning the mementos (swahid smarak) at the deputy commissioner’s office here, the members of the martyrs’ families said the Bill seeks to provide citizenship after six years of staying in India to non-Muslims, who had fled following religious persecution in Bangladesh, Pakistan and Afghanistan and entered India before December 31, 2014, even if they do not possess any document. “The Citizenship Bill has been passed in the Lok Sabha. It’s a matter of utter shame for all of us. If the Bill becomes an Act, the sacrifices made by over 800 martyrs of Assam Agitation would become meaningless,” the martyrs family members mentioned adding their sacrifices will bear no meaning if Hindu Bangladeshis entering Assam after 1971 are given citizenship in India. “These mementos were once the prized possessions for us, but now these are meaningless,” they said. However, it was informed that following certain unavoidable circumstances few martyrs’ families couldn’t take part in the programme. On the other hand, some of the 73 martyrs’ families of the undivided Sonitpur district have already returned their mementos to the government in Biswanath district. The martyrs’ families first gathered at Asomya Club here and then moved to the office of the deputy commissioner to return the mementos. 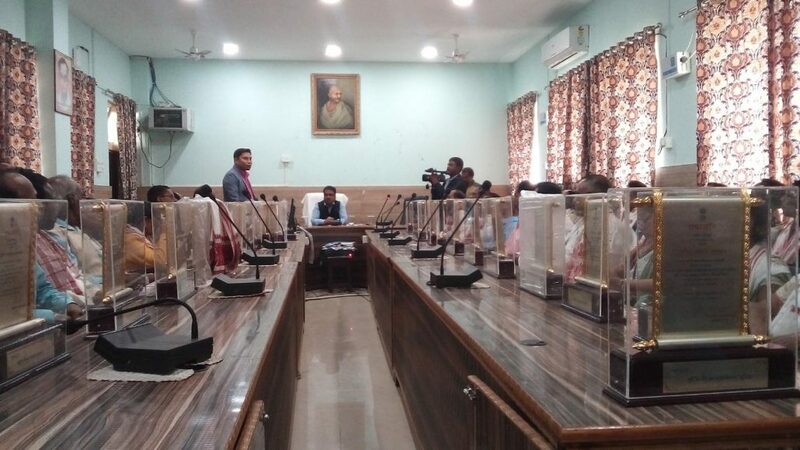 Besides, the college teachers of seven colleges under Sonitpur zone on Wednesday staged a two-hour sit-in demonstration at the Darrang College campus here in protest against the Citizenship Bill. Attending the protest programme that was supported by college teacher employee’s union and Darrang college students’ union, the protestors said they have been extending their support to the struggle carried out by various organizations against the controversial Citizenship Bill and until and unless the government moves back from passing it, they would continue their movement against it.